​“People will box you into what they envision for your life. However, trust what God has passioned and purposed for your life. Be patient and pray. Then, watch what you have dreamed manifest." ​Dr. Ingrid Mitchell has almost 2 decades in education. She's served as a Teacher, Instructional Coach, and School Principal at a K-12 Special Education School. Her strongest skills to date are being able to develop action plans based on data for achieved growth services and delivering professional development based on need results for implementing programming. In addition, Dr. Mitchell has been elected to positions within educational organizations, such as: literacy specialist and university/national speaker for education. Along with being a self-published author of children’s books, she is professionally published by way of her doctoral study, Effect of Vocabulary Test Preparation on Low-Income Black Middle School Students’ Reading Scores, Journal of Educational Research and Practice, 2016. The research study highlights and verifies her work as an Executive Leader that specializes in helping subgroups. This research study, has been currently downloaded internationally, by government agencies, and learning facilities for the purpose of training others. 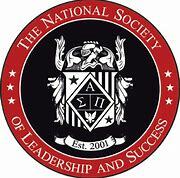 Nominated by Walden University to join The National Society of Leadership & Success Organization. This nomination was based on her work with fellow Doctoral students who had similar educational research topics and leadership exhibited post-Doctoral graduation, i.e. working with TDOE, presenting at Literacy Association of Tennessee, and teaching at the community college in her chosen specialty area.